Zeena Begum is proactive and takes a client focused approach and always maintains the highest level of commitment and enthusiasm when working on cases she is instructed in. Represented company in a case involving agency law. Successfully settled a case for a for Claimant against a national retailer for sale of a faulty item. Defendant a company in a complex supply of services case. Acted for a claimant with a claim against a service provider and was approaching limitation. Advised leaseholders on their rights under a lease which the freeholder was breaching an express clause. Acted for landlords in repossession hearings. 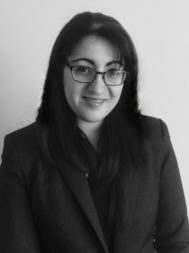 Zeena has experience of conducting trials on all tracks, she has represented both Claimants and Defendants in trials on liability and quantum, as well as in disposal hearings, applications, costs matters, and case management hearings. She has provided written advice/opinions in personal injury and credit hire cases, including advice on quantum. Drafted pleadings for an employer’s liability action. Represented claim in costs hearing case. Successfully settled a multi-track case at court when it was obvious the witness would struggle in giving evidence. Zeena accepts instructions in all areas of Criminal law and regularly appears for both the Crown and Defence solicitors in Crown Courts. Zeena previously worked at the Crown Prosecution Service having obtained one of only 15 pupillage places at a time when there were over 1200 applicants for those places. She quickly rose to the position of Senior Crown Prosecutor before deciding to pursue a career at the self-employed bar. Successfully prosecuted several crown court cases including possession of offensive weapons and GBH cases. 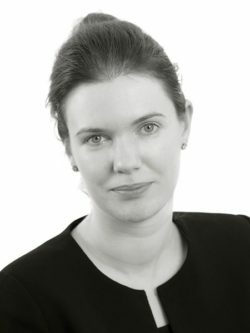 R v Campbell (2016) acquittal by jury for a domestic burglary, after focused cross examination showing the witnesses were mistaken in their identification of my client as the burglar. R v C and O (minor) (2014) proved a case using cell site information to put the two youths in a location of the assault. R v Chieke (2013) advised the police regarding advice and the need for further evidence for a series of burglaries across the country from mosques. Defendant received a custodial sentence. Ward v Zurich insurance (2016) successfully defended a personal injury case arising out of a road traffic collision. Ampong v Kalule (2016) written advice on multi-track case where the question of intervention letters was sent before the claimant hired a vehicle through credit hire and thus failed to properly mitigate his loss. Sayers v GHL (2015) multi-track costs management hearing successfully reduced the costs by over £40,000.